How can we help reduce the numbers of children injured on the roads? Could many of the children killed and injured on the roads have avoided these accidents if parents and teachers paid more attention to child safety? With a little more thought and time spent teaching children about road safety some of these injuries might have been avoided. 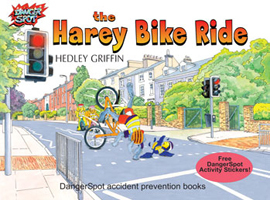 This article about road safety for kids might help. showing how to cross the road safely. Supporting the THINK! road safety campaign. subways, footbridges, islands, Zebra, Pelican and traffic light crossings or where there is a police officer, school crossing patrol or traffic warden. If you can’t find any good crossing places like these, choose a place where you can see clearly along the roads in all directions, and where drivers can see you. Never cross on sharp bends or just before the top of a hill. Stop. Stand on the pavement near the kerb. Give your self lots of time to have a good look all round. Stand a little way back from the kerb - where you will be away from traffic, but where you can still see if anything is coming. If there is no pavement, stand back from the edge of the road but where you can still see traffic coming. Use your eyes and ears. Look all around for traffic, and listen. Look in every direction. Listen carefully because you can sometimes hear traffic before you can see it. Wait until it’s safe to cross. If traffic is coming, let it pass. Do not cross unless there is a safe gap and you are sure there is plenty of time. If you are not sure, don’t cross. Look and listen. When it’s safe, walk straight across the road. Always walk across, never run. Arrive alive. Keep looking and listening for traffic while you cross. Always use the pavement or footpath. If there is not one available it is safer to walk on the right side of the road facing the oncoming traffic. When you have to walk on the road walk one behind the other and not abreast, especially on a bend and at night. At night, always wear bright clothing and if possible florescent materials. Always hold a child's hand when using the road. Always use a zebra or pedestrian crossing where possible. Never cross a railway level crossing when the red lights flash, when you can hearing warning sounds and the barrier is down. Always wear a crash helmet when cycling, even off the road. Tests held at the University of Illinois College of Medicine, in America recently have proved that a helmet, worn correctly, definitely helps prevent injury. If walking a dog, always keep it on a short lead and place yourself between it and the traffic. As our climate is continuing to become warmer children and pets should not be left in a vehicle. In some countries temperatures in cars can reach almost 120 degrees within 30 minutes, and a child's body temperature rises faster than an adult's. Only a quarter of drivers aged between 25 and 50 actually enjoy driving fast. 15% of men aged between 35 and 50 have received at least three speeding tickets. 70% of under 25-year-olds admit to breaking the 30mph limit. The majority of drivers, especially females, believe that speeding is selfish. Only one third of drivers who had been involved in a road traffic collision said they drove more carefully after the crash. More worryingly another third said having a crash had absolutely no effect on their driving afterwards. Economically active male drivers aged between 35 and 50 with larger car engines are most likely to activate a speed camera. Up to 40% of passengers said that they would never ask the driver to drive more safely. There are two distinct groups of “boy racers” each with different attitudes towards driving. 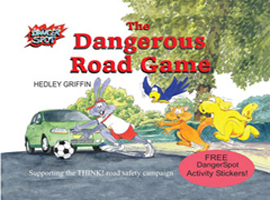 Get planning your Road Safety Week activity.